Tad Richards Callister was born in Glendale, California, on 17 December 1945. 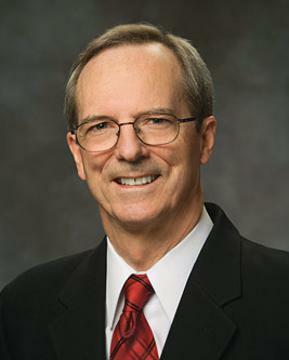 He has served in a number of positions for The Church of Jesus Christ of Latter-day Saints ("Mormon Church"), including full-time missionary in the Eastern Atlantic States Mission in his youth, elders quorum president, stake mission president, stake president’s counselor, bishop, stake president, Regional Representative, mission president’s counselor, mission president, and Area Seventy. He received a bachelors of science degree in accounting from Brigham Young University in 1968. He later attended UCLA Law School, graduating with a law degree in 1971. The following year, he earned an LLM (Master’s) degree in tax law from New York University. Prior to his call as a mission president, he was employed as a practicing attorney with the firm of Callister & Callister since 1972. Elder Callister was sustained a member of the Second Quorum of the Seventy of The Church of Jesus Christ of Latter-day Saints on 5 April 2008, at age 62. At the time of his call, he had been serving as the president of the Canada Toronto East Mission. He served as a member of the Fifth Quorum of the Seventy, North America West Area, from 2000 to 2005. He has also served as a counselor in the Pacific Area Presidency. Elder Callister served as a member of the Presidency of the Seventy from August 2011 to April 2014. He was released from the Presidency of the Seventy and as a general authority in April 2014 and was then called as the Sunday School general president. This page was last edited on 17 January 2018, at 20:58.